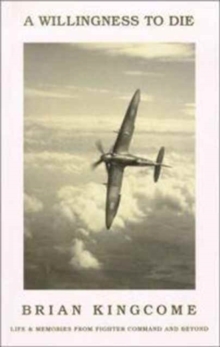 In 1938 Brian Kingcome joined the RAF with a permanent commission and was posted to No 65 Fighter Squadron at Hornchurch, soon to be equipped with the Spitfire, and so it came about that Brian flew the Spitfire throughout the war. He became acting CO for No 92 Squadron at Biggin Hill and led over sixty operations, achieving the highest success rate of any squadron in the Battle of Britain. In May 1943 Brian joined Desert Air Force in Malta and took command of 244 Wing. At this time he was confirmed Flight Lieutenant, acting Squadron Leader, acting Wing Commander and at twenty-five was one of the youngest Group Captains in the Royal Air Force. Brian Kingcome may have been the last Battle of Britain pilot of repute to put his extraordinary story into print; looked upon by other members of his squadron as possibly their finest pilot, his nonetheless unassuming memoirs are related with a subtle and compassionate regard for a generation who were, as he felt, born to a specific task. 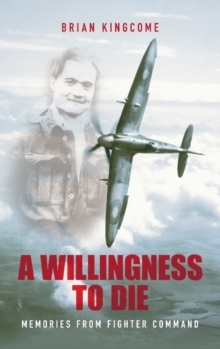 Brian's memoirs have been edited and introduced by Peter Ford, ex-National Serviceman in Malaya.